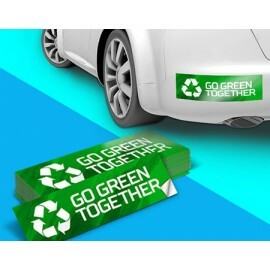 Car and truck door magnets are a cost effective way to advertise your business as you travel around town. Made out of our 15 mil magnetic material they are easily removable and include rounded corners to help prevent your sign from flying off driving at high speed. If you are considering buying car door magnets for your entire fleet, give us a call and ask about our volume discount.